Lightning Bay Pneu-Draulics is a full service hydraulic and mechanical shop, complete with a substantial machine and fabrication shop. These capabilities enable us to manufacture or repair hydraulic and pneumatic cylinders and repair valves, pumps, motors and other hydraulic or complex mechanical equipment. We are particularly skilled at replicating hard to find parts or repairing machinery no longer supported by the original manufacturer. We are a full service Hydraulic Contractor. We provide field services to Marine and Industrial customers. 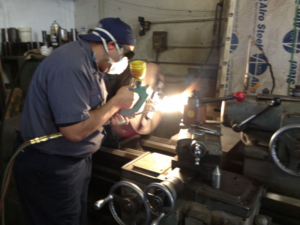 We provide shop services including, manufacturing, machining, welding, fabrications, remanufacturing of components, and have years of experience in the repair, replacement, and rebuilding of hydraulic components including hydraulic cylinders, hoses, hydrostatic, pumps, etc. At Lightning Bay Pneu-Draulics we retain a full-time, in-house staff comprised of trained mechanics, Certified Welders, and a Certified Fluid Power Expert. Offering more experience than most hydraulic shops in the area, we have the capabilities to provide service on cranes, backhoes, trucks, telescoping cylinders, crawler tractors, swing cylinders, PWR steering cylinders, Schwartz Loader Cylinders, Do-All Cylinders, and all farm equipment cylinders. We truly are your custom solution for every hydraulic scenario. Our continually updated machining equipment allows us to develop increasingly diversified cylinder designs – longer, bigger, shorter, etc. We have a reputation for getting the job done right the first time, while only repairing and replacing those parts that need it. 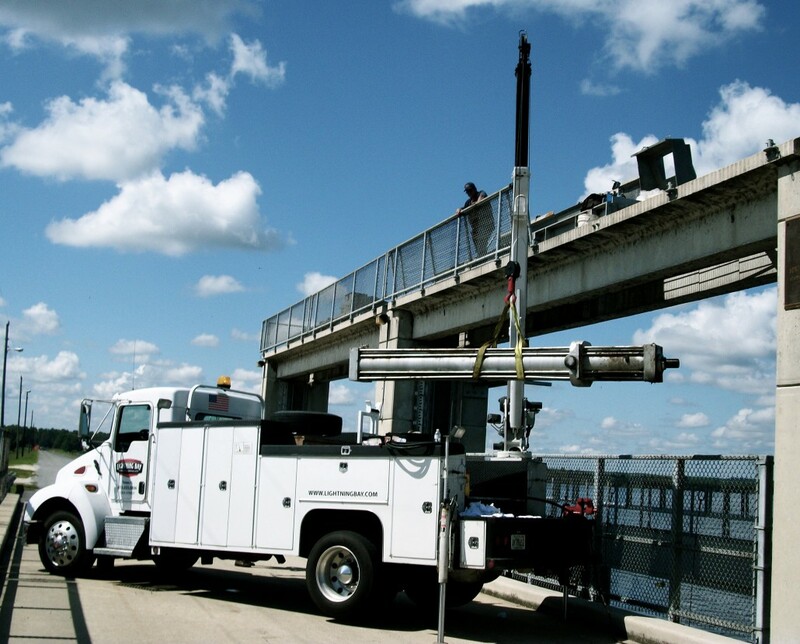 Through comprehensive testing, our technicians stringently inspect every hydraulic unit for wear, durability and damaged components to ensure that you receive the most effective repair possible. Our mission is to reduce your downtime, which helps your bottom line. We are on-call 24/7 if any emergencies should arise and at any given time we promise to troubleshoot, repair, install, breakdown or maintain your fluid power systems to the best of our ability. Our service technicians are always prepared and carry all the necessary passes and cards to ensure proper access to your facility when you need us most. We take pride in our work and aim to satisfy our customer base 100%.